Clash of Blades was the first of Artemis Games projects, beginning even before the Concept Cards line launched, but it has lain fallow for some time. Work has now recommenced, so I’d like to introduce it to all of you. What is Clash of Blades? At its core Clash of Blades is a two player card-game about swordfighting, where the players use careful timing to dodge and parry their opponents strikes, while trying to sneak their own in under their opponents guard. The ebb and flow of combat is captured by the games unique mechanic: each card played takes up a certain number of “ticks”, representing the time it takes to perform the move – and the time it takes to get back into position afterwards. 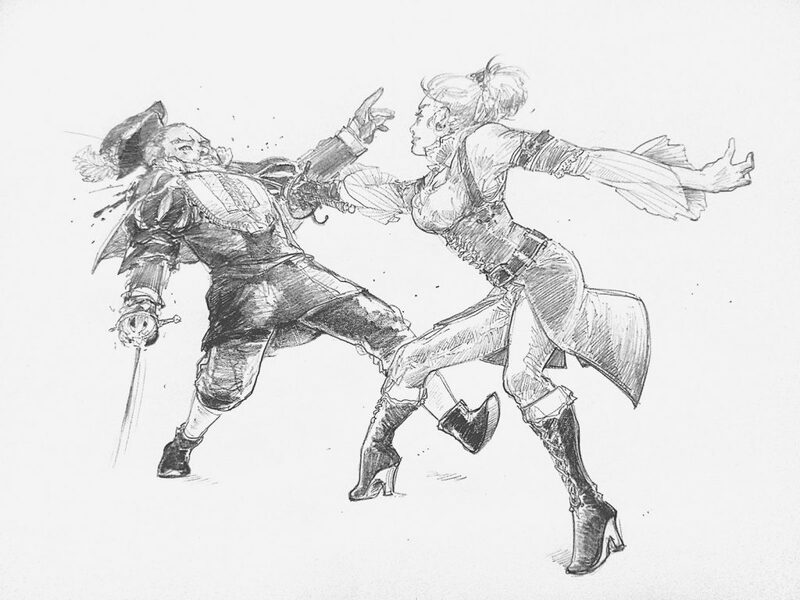 You and your foe play simultaneously, so every tick counts – you can slide in with a quick lunge while they’re recovering from one of your parries, or be more ambitious and play a heavy strike in the hopes that it will leave them reeling. If this sounds like something that would interest you, follow the updates here through Specific Feeds. Clash of Blades information will be appearing occasionally, alongside the pre-existing Mythic Mondays posts.